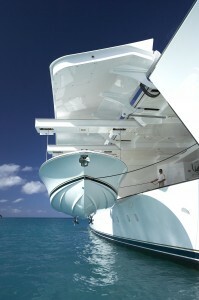 Supplier of custom built yacht equipment, stern gear and deckhouses for super yachts. Engineering, production, system integration on board, commissioning, service and refits. Gangways, passarelles, side accommodation ladders, swim platforms, helicopter platforms/lifts, transom doors, hull side doors, crew provisioning platforms/doors, embarkation platforms, tender store doors, M.O.B. hatches, mooring platforms, boarding platforms, gymnasium platforms/doors, crane hatches, custom tender cranes. Modelling, construction engineering and detail engineering (3D-NX), production, installation on board. Aluminium deckhouses, cutting files, building kits.